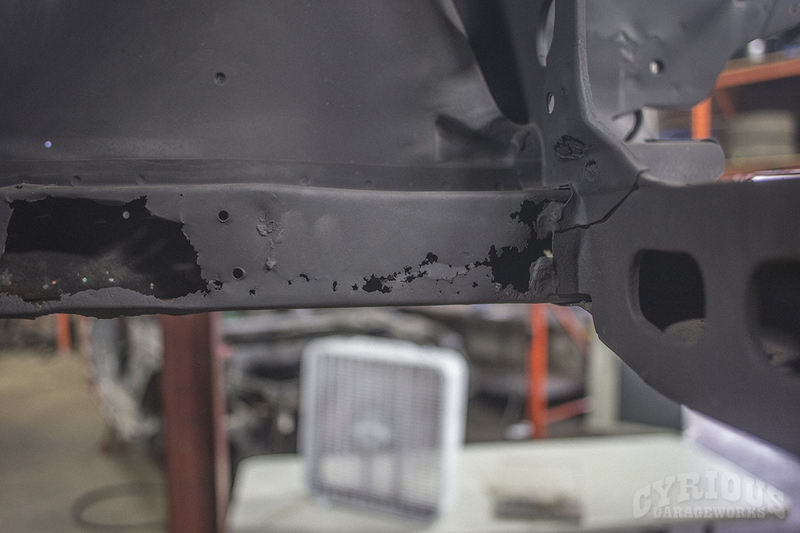 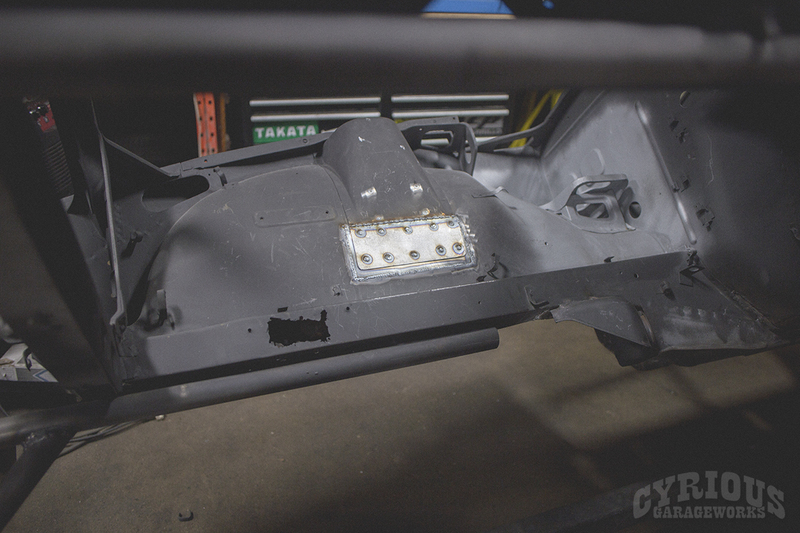 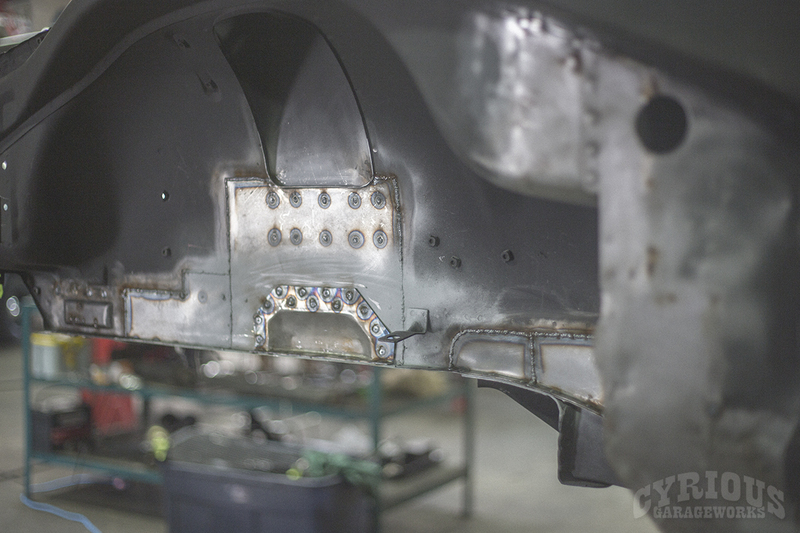 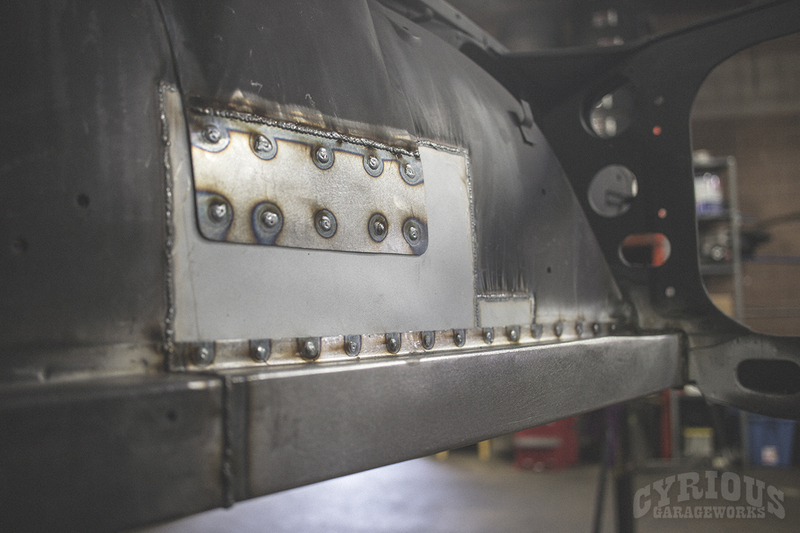 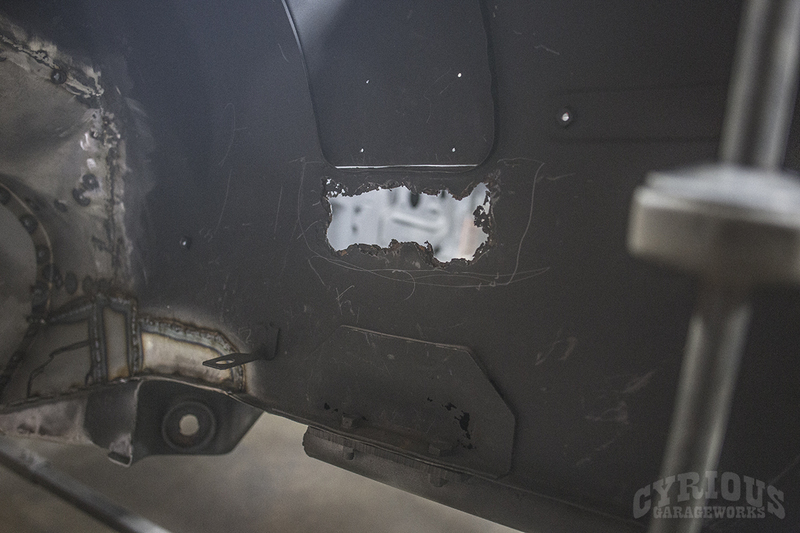 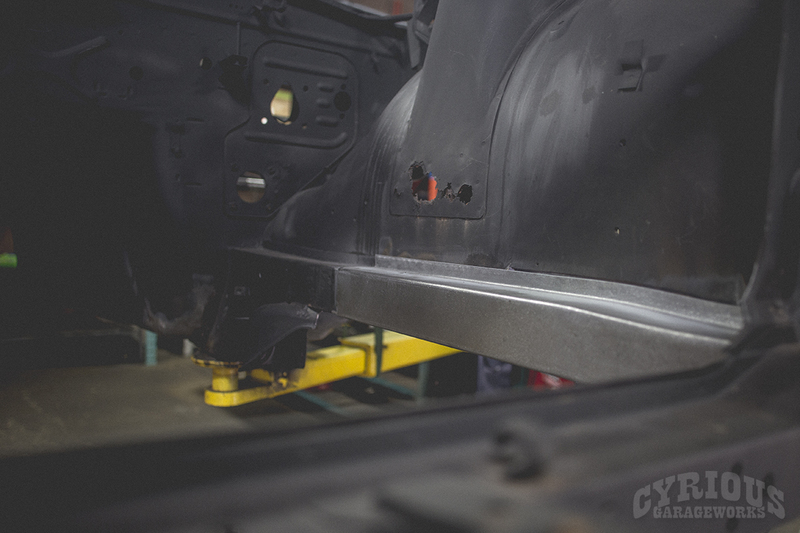 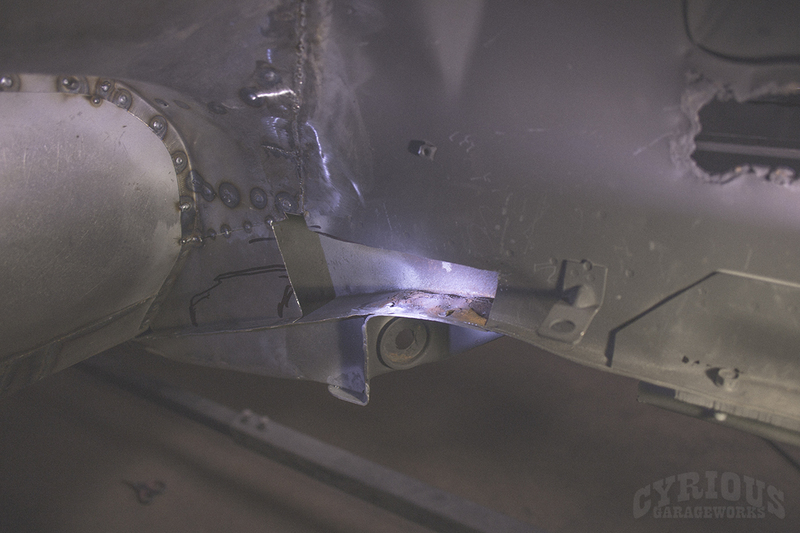 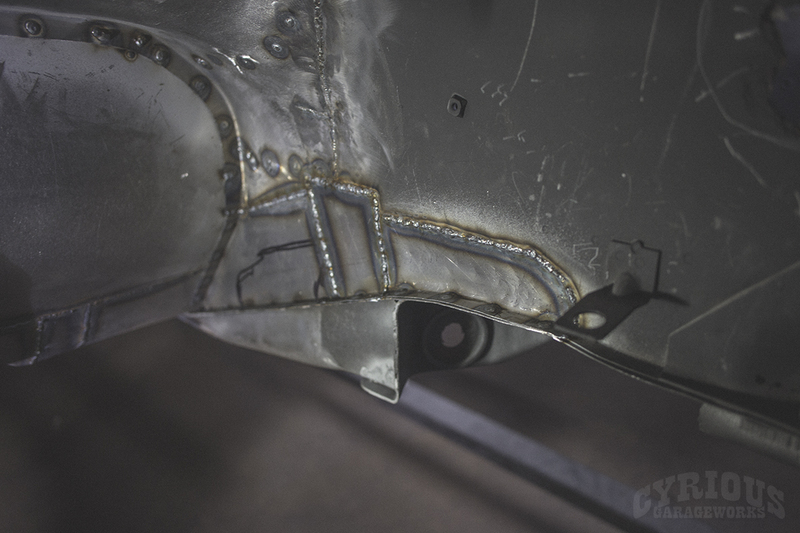 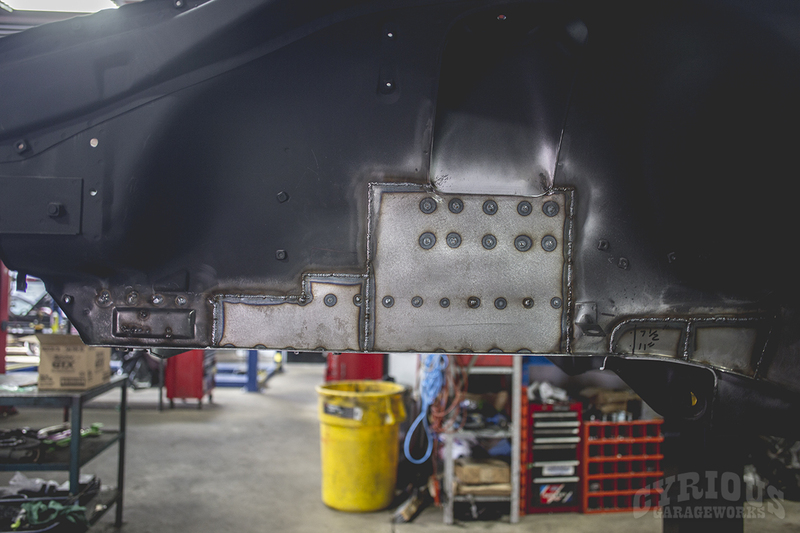 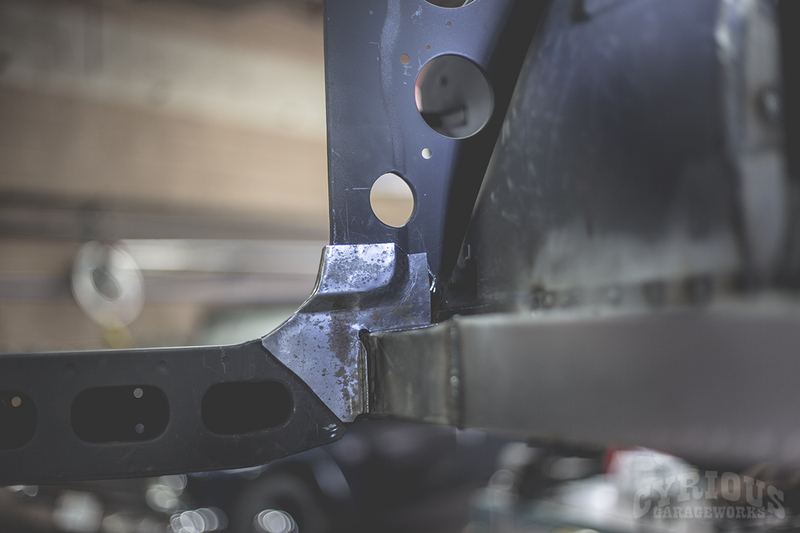 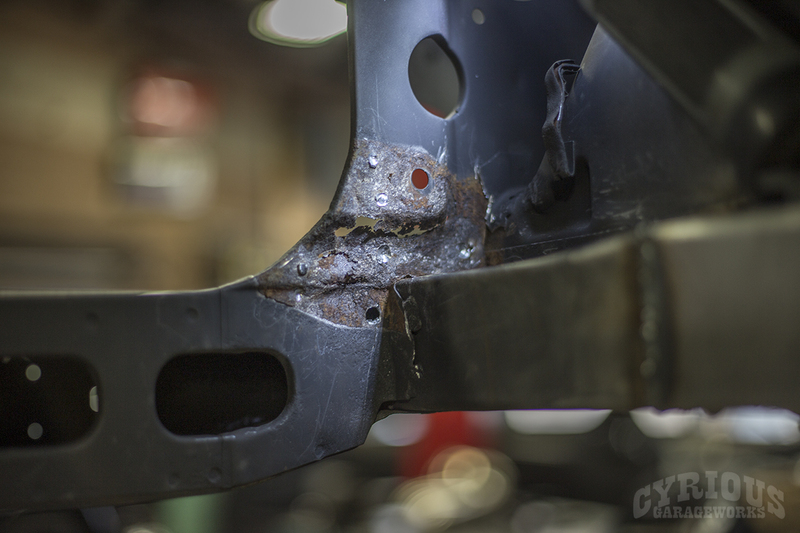 Once the floors were all welded into the car, it was time to attack the rest of the rusty spots and holes that had developed throughout the chassis. 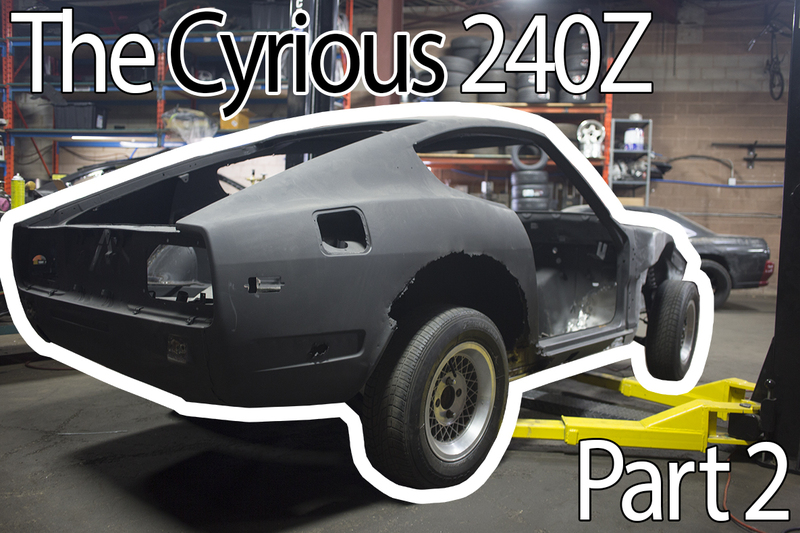 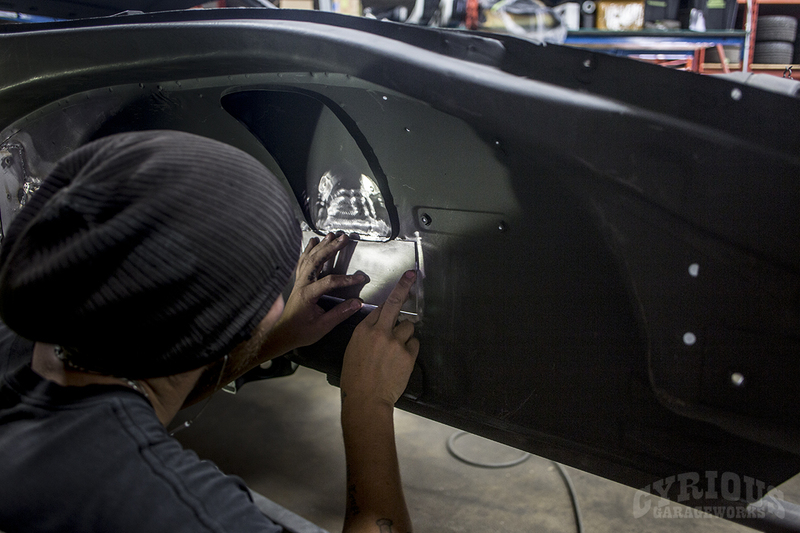 Each restoration that we do here at Cyrious Garageworks is tailored to both the car, and how the client wants their build to be done. 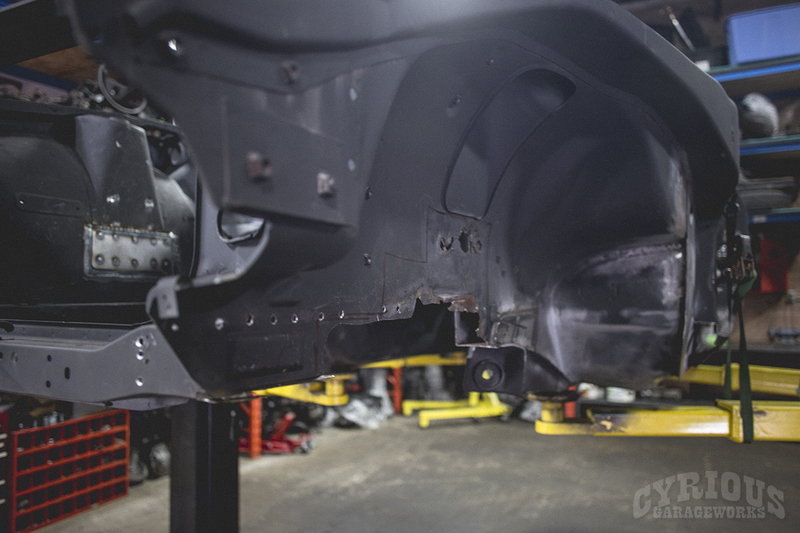 With that in mind we can either make basic rust repairs to simply fix the structure, or build panels that match the original factory pieces. 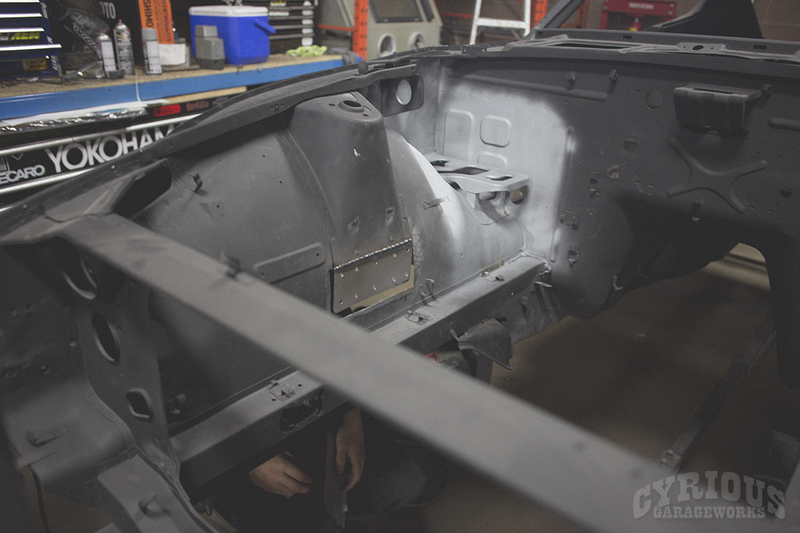 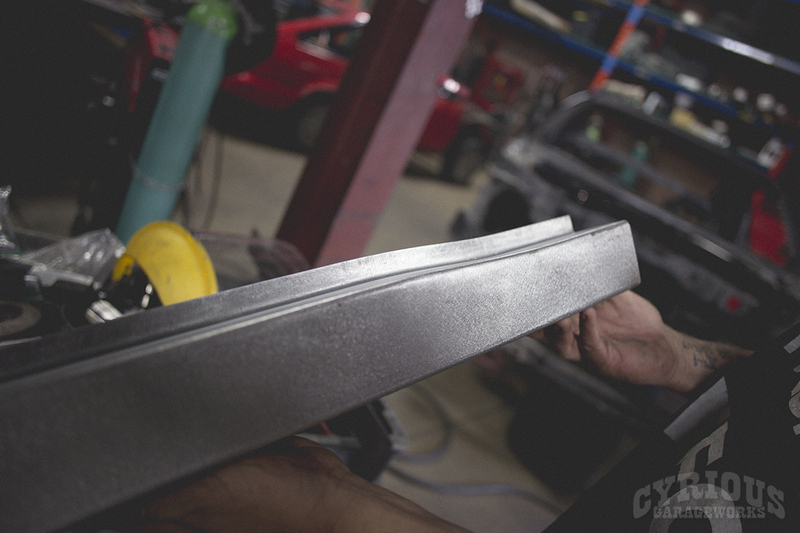 This particular 240z is going through a complete factory style restoration, so extra care has been taken to recreate the factory look on every seam, weld, and repair in an effort to have the final product be as close to factory original as possible.